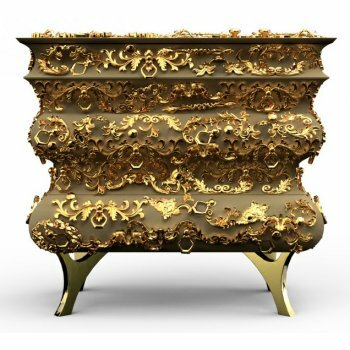 Bring some uniqueness to your space with the Boca Do Lobo Crochet Luxury Nightstand. 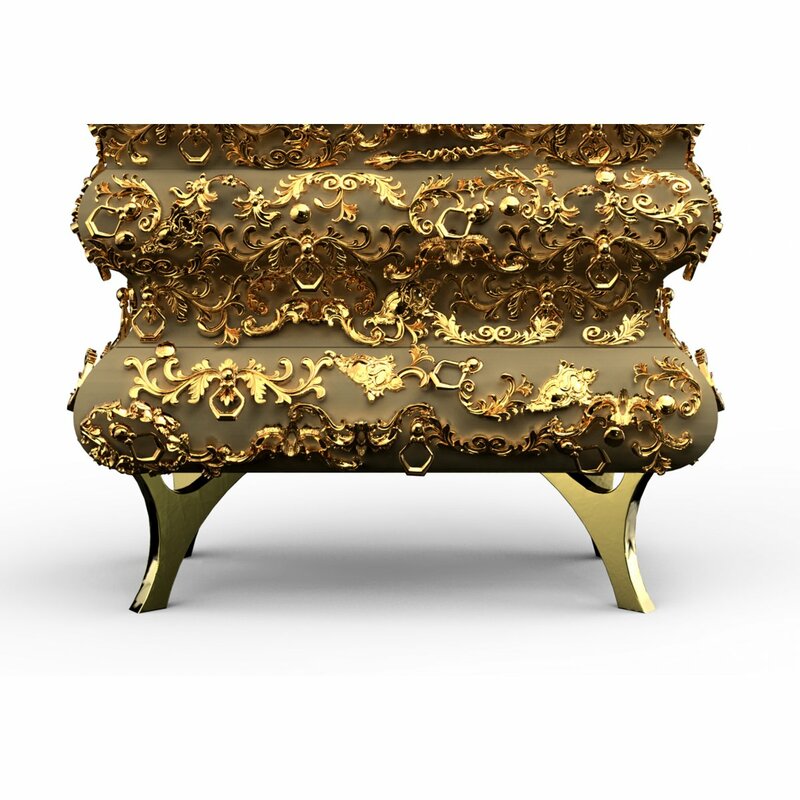 In the world of Luxury furniture, this is a serious scene stealer. 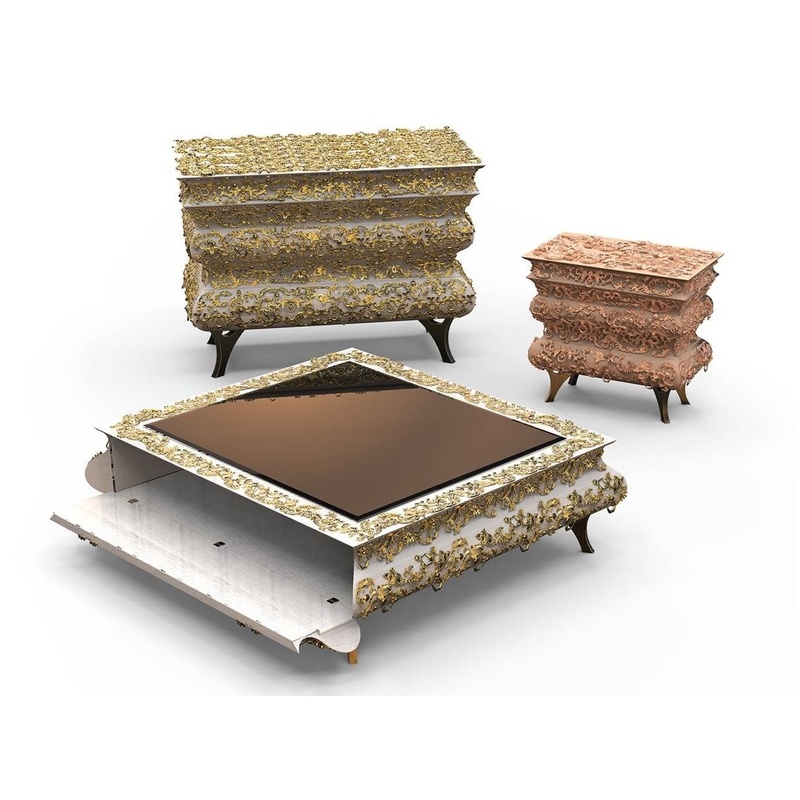 The Designer Bedside Chest merges a traditional knitting technique, with the best of Portuguese luxury furniture design. 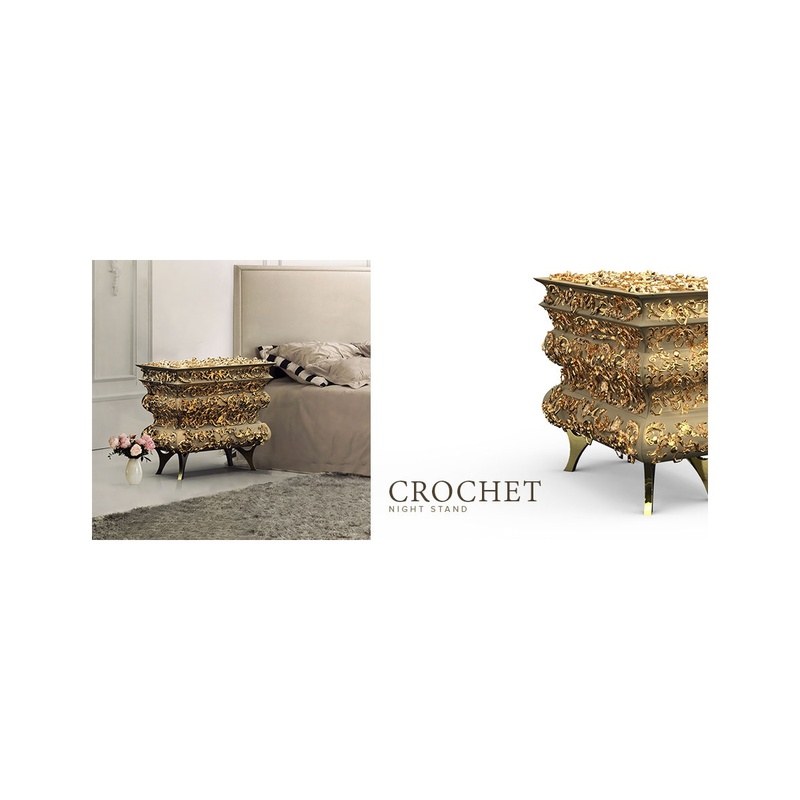 Inspired by the artisan method popular in Europe during the 19th century, the Crochet bedside chest is rich in texture and has a timeless classic design influence. 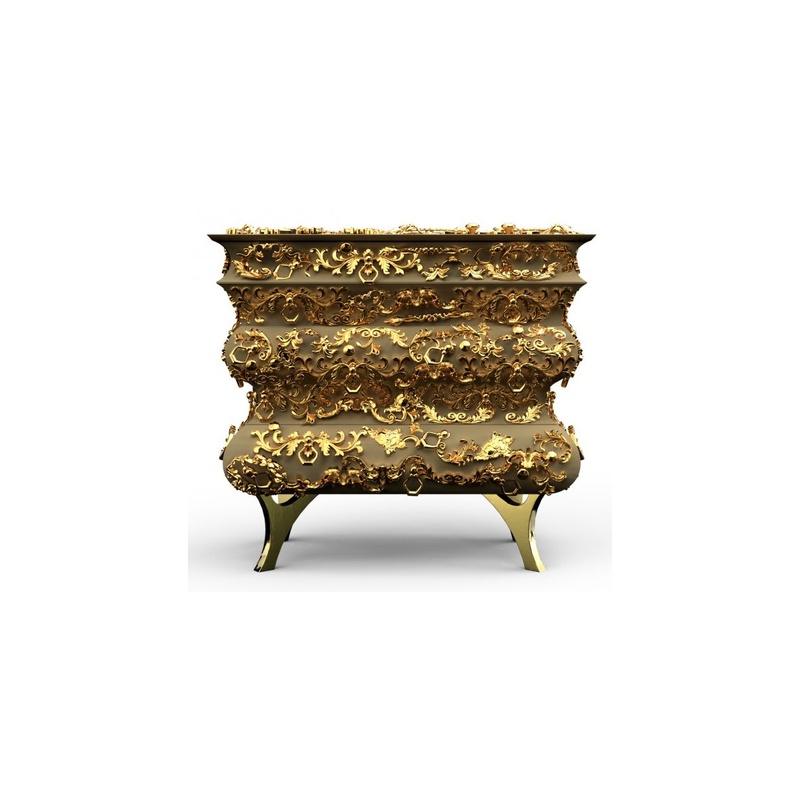 This magnificent Boca Do Lobo Luxe style nightstand would make an excellent addition to your luxurious bedroom. 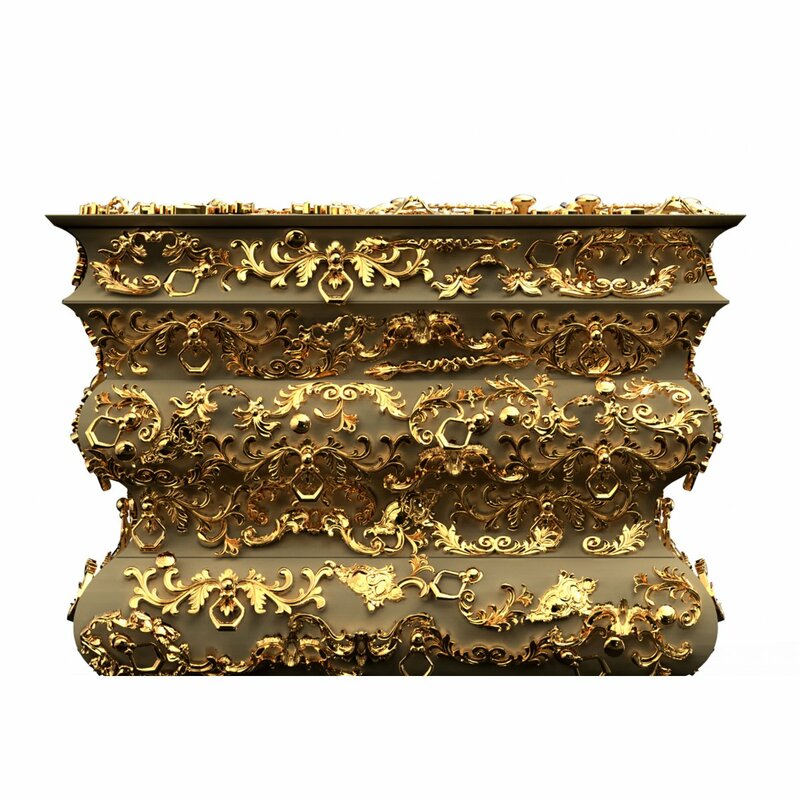 Bring home the luxury Chest and experience its beauty. An unforgettable statement piece! 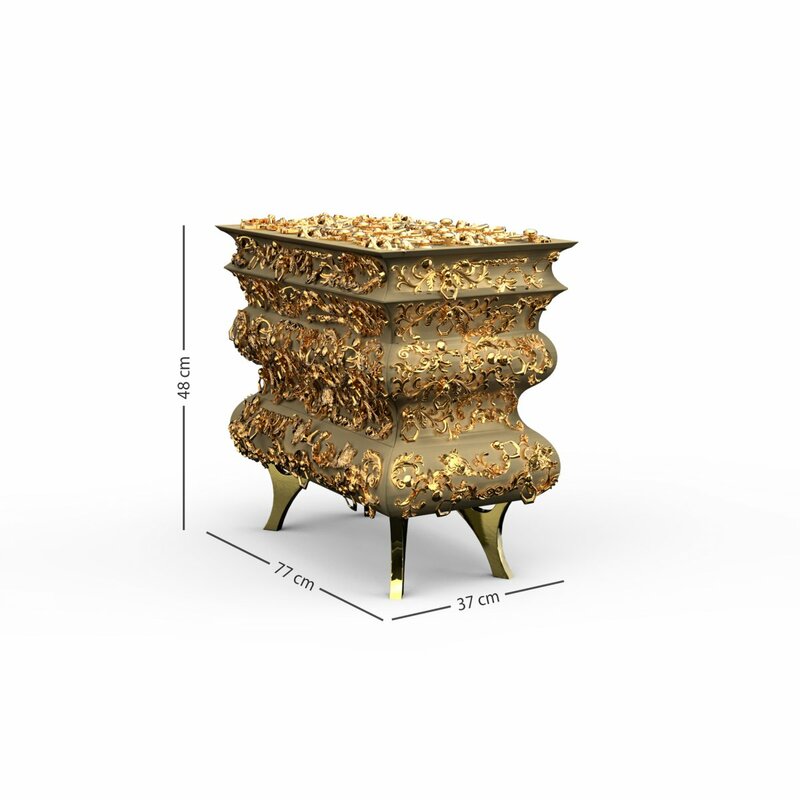 Arts and Techniques: Joinery, Jewelry, Foundry, Application of Golden Leaf & Varnishing.